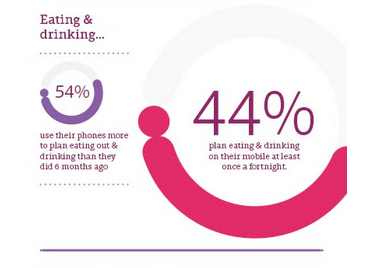 One of the elements driving this tremendous growth in the UK, is smartphone penetration, now at 71%. Half of Britons are also expected to own an iPad, Kindle or similar tablet device by 2018, which will see the ad market grow a further 60% in 2015 to £3.2bn. 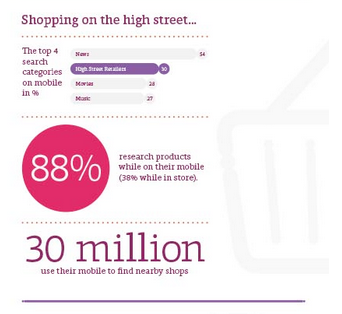 Britons are using their smartphones for purchases now more than anywhere else in the world. 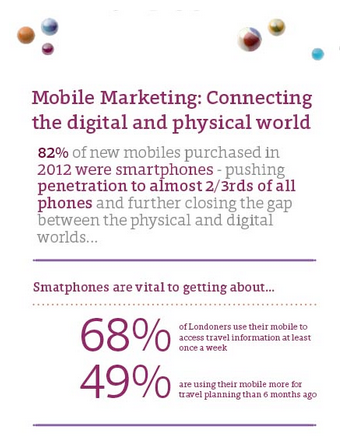 A report by eMarketer states that this growth in mobile spend is driving the increased spend in digital advertising. Weve believe that within three years, brands that are not able to make mobile their most important screen, won’t only have poor loyalty, but may also not have a brand. We constantly receive information and consume media across multiple screens, which we are encouraged to share. We do all of this instantly. 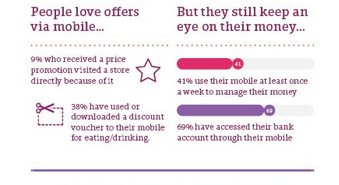 So, do you use mobile to engage a consumer and create traction with your brand? The normal answer is, “No, put it on TV or online.” But actually, the answer should be "yes". This is especially true when targeting those aged 18-34. For this age group, mobile is completely and overwhelmingly their first and most important screen. The one they care about and use every hour of their day. The market is beginning to understand that mobile is more than people just searching for things, but what if we looked at mobile in a different way? What if we looked at mobile as a broadcast channel but with one essential difference - When you broadcast, you know exactly the kind of person you are broadcasting to and indeed if it was welcome and acted upon. 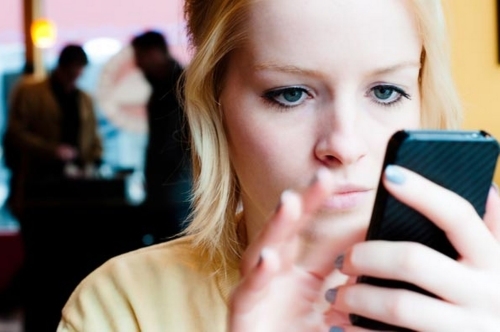 Many brands working with their agencies are thinking about the potential of mobile. Not only in terms of location, but by putting their brands centre stage. For example, by messaging certain demographics around entertainment venues, as in the case of Heineken. Others are thinking about moving their brand to what we call ‘always on’ engaging and talking to a consumer regularly through their smartphone. Brands want to market to a highly targeted consumer base, secure in the knowledge that their engagement is welcome, they want to encourage repeat purchase, build long-term trust and loyalty among new and existing customers, understand customer needs across differing channels and ultimately create broad and deep awareness of their brand. Mobile is our first screen. We, consumers, are already there; the advertising and media industry just has to catch up. In our belief, the massive market shift to smartphone usage – and to targeted advertising in users’ hands – is every bit as important for our industry as the original shift to the internet. The future of advertising depends on campaigns that highly feature mobile ads and that make the most of proper insight. It is up to companies and the advertising community to think again about how they create and engage and reward; and how such a powerful platform can be invigorated and the implications for brands in the future. 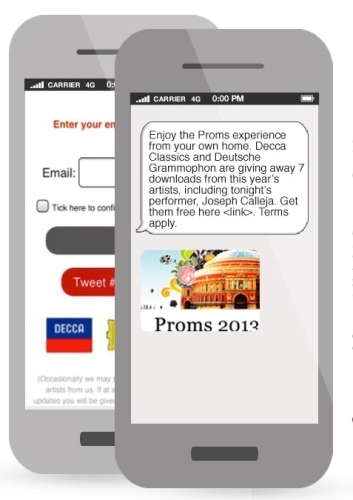 Decca Records successfully used mobile advertising to drive Proms 2013 album downloads. Decca Records wanted to try new and innovative ways to enhance their campaign promoting album downloads for its key artist performances as part of Proms 2013. 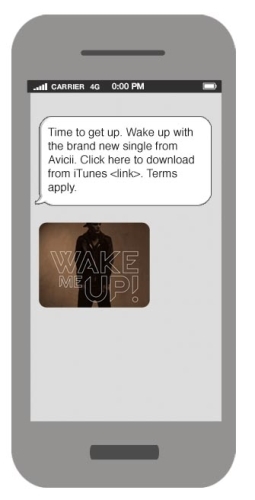 The objective: To promote Avicii's new single in a new an innovative way that reached the key audience in order to drive single downloads on iTunes. At Weve, we understand the power of the message to change the way that people think and behave. Our media products help brands create, design and deliver intelligent, targeted messages that meet their business objectives across the board – from growing product awareness to driving footfall and increasing sales. 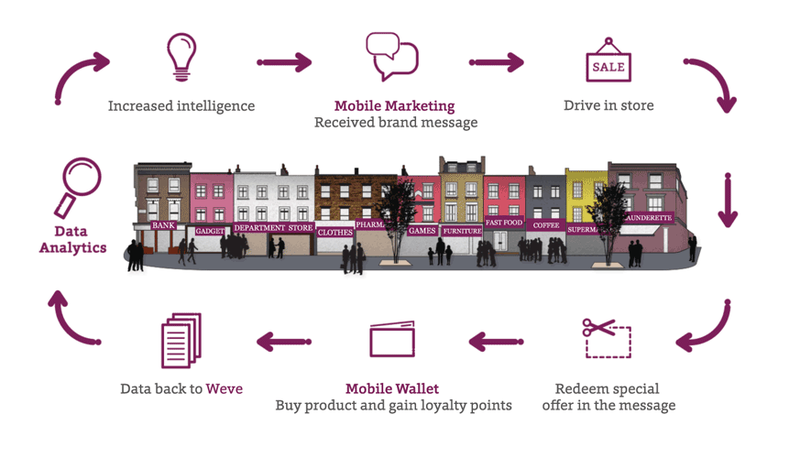 The result: intelligent, personalised mobile campaigns that really work. Based on who you are trying to reach and what sort of message you want to get across, we work with you to create bespoke campaigns to make sure your message gets through the right person, at the right time and in the right place. 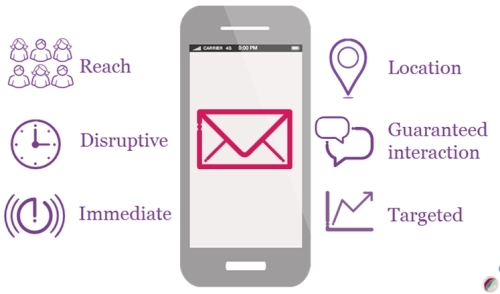 Mobile is a personal device and messages are delivered to an uncluttered environment. A mobile will ultimately deliver advertising that the consumer only really wants to see, that it is served in a place that is useful and relevant to them. It can also include promotional offers and vouchers that can be redeemed easily and then rewarded. Simple. Our audience is based on real time behaviour, we know who people are based on: age, gender, device type, usage and so on. Due to the capabilities of the mobile channel, our network partnerships and the innovation of our customers, we are able to resolve finer profiles over time – This creates greater insight which drives greater relevancy and value in turn.